Berries are inherently full of nutrient-rich building blocks such as antioxidants, phytochemicals, flavonoids, carotenoids, polyphenols, vitamins, and minerals. These components of berries that are known to be beneficial to the skin, most often used for their anti-inflammatory and antioxidant properties. The Oleic acid found in berries helps to regenerate skin at the cellular levels and have antioxidant qualities that provide protection from the damaging effects of pollution and UV rays. They are also attributed with helping to transport valuable, bioactive compounds to the outermost layers of the epidermis. With its invigorating berry scent, our super-rich and creamy formula is whipped to perfection to pamper your skin. It absorbs quickly to leave skin feeling soft and smooth. A luxurious blend of natures’ finest berries perfect for all skin types. Maqui Berry: Oil helps to regenerate skin at the cellular levels, and it has antioxidant qualities that provide protection from the damaging effects of pollution and UV rays. One of the active compounds within the oil is alpha tocopherol. This form of vitamin E is a very powerful antioxidant and protects the skin from the scavenging free radicals that attempt to mutate cells. Maqui berry contains the highest ORAC (oxygen radical absorbing capacity) value of any known berry. Goji Berry Oil: contains high levels of Vitamin C, minerals and amino acids that encourage skin regeneration and help to fight off the damaging effects of free radicals. Packed with trace minerals, they encourage the production of collagen and elastin, helping to maintain firmness and flexibility for a vibrant and healthy looking skin and complexion. Contains beta-carotene that boosts skin health from sun damage and offers light daily sun protection. Daily use of Goji berry oil will improve your skin complexion, resulting in a smooth and refined appearance. Known for its therapeutic properties. Acai Berry Oil is rich in anthocyanins and phenols making the oil a very powerful antioxidant and anti-inflammatory. Its significant content of anthocyanins is reported to be 10-30 times higher than the anthocyanin content of red wine grapes. Acai Oil's rich array of nutrients and antioxidant and anti-inflammatory action make the oil a remarkable ingredient for anti-aging, cracked skin, eczema and psoriasis. This oil penetrates the skin quickly, acting as an excellent emollient carrier oil. It is a highly beneficial ingredient in formulations intended to treat acne and blemishes. Massage a generous amount to hands and body when ever extra moisture is needed. Enjoy! 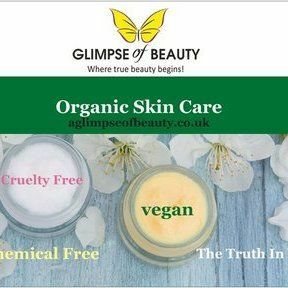 Cold Pressed unrefined oils of goji berry (seed oil), acai berry oil, (fruit oil), maqui berry (seed oil), organic aloe vera butter, organic avocado butter, collagen (pseudo), vitamin e oil, goji berry oil (fragrance).